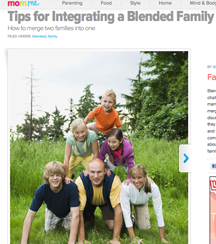 Blending a family can offer rewards and challenges that strengthen the bond of your marriage and your family life. To successfully merge families, parents will need to assess and discuss their similarities and differences and how they — and their children — plan to compromise and cooperate. Patience, consideration and open communication are essential and will help bring about a much smoother transition for the entire family.